Eight steps to considerably increase your chance of success. Useful to any company, large and small, that needs to adapt in today's rapidly changing world. Many transformations fail but as John P. Kotter said, no business can survive over the long term if it can’t reinvent itself. Leading change accross an entire organization is probably the most difficult thing to do. It requires the right balance between management and leadership. The book begins with the same eight errors identified in his famous article on which is based this book. 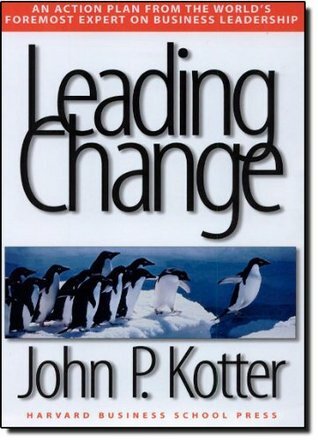 John P. Kotter benefits from the space offered by this book to add lot more examples, all based on the incredible experience of the author over period of more than decade. The second part introduces the eight-stage process for creating major change. The approach is easy-to-follow and methodical. Too often, people skip these steps because of pressure. John P. Kotter dedicates chapter for each step and demonstrates its essential role with numerous examples of successful or failed attempts. The last part emphasizes the importance of this book in the Twenty-First Century. Since 1996, Leading Change provides detailed road map to avoid common pitfalls. This book has never been more valuable than it is today. The only drawback found is that the book is really targeted to CEOs even if most ideas and practical advices are applicable in most contexts. As developer, change is everywhere. Technologies change, requirements change, methodologies change but many companies refuse to embrace change. Leading Change is probably not as helpful to me since am not in situation to use its ideas but it gave me the insight to know if transformation will succeed or not. An outstanding contribution!